Employment generation, minority appeasement, corruption, TMC's role in forming the next government at the Centre, the veracity of air strikes at Balakot have also emerged as major issues. 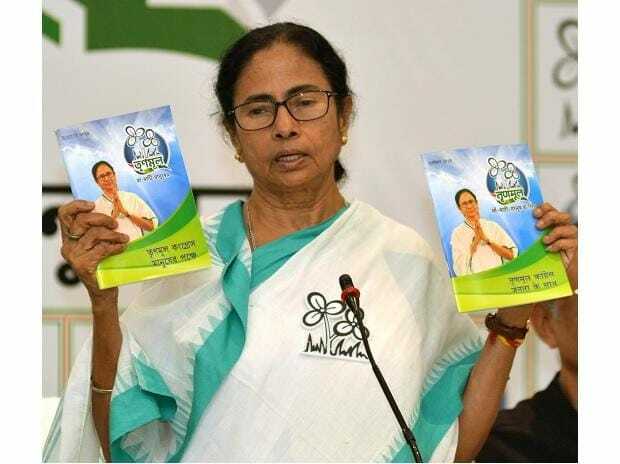 In highly politically polarised West Bengal where the ruling TMC has locked horns with the BJP, three issues - National Register of Citizens, the Citizenship (Amendment) Bill and infiltration - have taken centre stage in the election campaign for the Lok Sabha polls. BJP president Amit Shah has repeatedly stressed on introduction of NRC across India, specially in West Bengal and implementation of the Citizenship (Amendment) Bill if voted to power again, while TMC supremo and West Bengal Chief minister Mamata Banerjee has promised to oppose it tooth and nail. The NRC got mired in a massive controversy after the names of around 40 lakh people, living in Assam for decades, were omitted from the complete draft that was released in 2018. Banerjee has repeatedly claimed that the NRC and the Citizenship (Amendment) Bill, which seeks to weed out illegal migrants from Assam, will turn even bonafide Indian citizens into refugees. Addressing election rallies in the state on Thursday, Shah raked up the infiltration issue, even describing illegal immigrants from Bangladesh as "termites". "It is our commitment to bring in NRC across the country to chuck out each and every infiltrator. Unlike Mamata Banerjee, we don't treat infiltrators as our vote bank. For us national security is supreme," he said. BJP national general secretary and Bengal minder, Kailash Vijayvargiya told PTI, "The issue of corruption, NRC in Bengal, infiltration and restoration of democracy are our major poll planks in the state to defeat the misrule of Mamata Banerjee and the TMC. A careful look will show you how these issues are affecting the masses of the state". The three issues of NRC, Citizenship (Amendment) Bill and infiltration have found resonance at the grassroot level in the state, which has borne the brunt of large-scale refugee influx and continuous infiltration since Partition. Of the 4,096 km-long Indo-Bangladesh border, 2,216.7 km is in West Bengal. "We are going to the masses with the message how the NRC and Citizenship (Amendment) Bill will affect the people and how the BJP is trying to mislead them on it. We are getting a good response and no one wants to become a refugee," TMC secretary general Partha Chatterjee told PTI. The BJP, during its poll campaigns, has repeatedly stressed how infiltration is causing a strain on the country's economy, posing a threat to national security and that TMC is "aiding infiltration" as a part of its "minority appeasement" policies. Referring to the reported communal flare-ups in the state in the last four years, the saffron party has pointed fingers at infiltrators and TMC's appeasement politics as the major reasons behind it. According to the data released by the Union Ministry of Home Affairs in 2018, West Bengal witnessed 58 incidents of communal violence in 2017. It cited the communal flare-ups at Basirhat in 2017 and Asansol in 2018 as being the recent ones. The minorities, comprising nearly 30 per cent of the electorate, are a deciding factor in nearly 12-14 Lok Sabha seats of the state, that every political party has tried to woo. Parliamentary seats near the Indo-Bangla border such as Raiganj, Coochbehar, Balurghat, Malda North, Malda South, Baharampore, Murshidabad, Jalpaiguri, Joynagar, Basirhat, Bongaon have a very high density of Muslim population. The TMC presently holds a great influence over the minority voters in the state and has been campaigning on how the BJP is trying to target Muslims in the name of NRC. "The BJP is trying to target the Muslims in the state. But we will never allow them to do it," TMC minister and veteran party leader Firhad Hakim said. BJP state president Dilip Ghosh said the party would take steps against illegal madrasas and not allow any appeasement in the state, if the party is voted to power. The party has also made corruption a major poll plank in the state post Saradha and Rose Valley chit fund scams and the Narada sting operation, which had purportedly shown some TMC leaders accepting bribes. "The TMC is running one of the most corrupt governments. We have never seen such a scale of corruption other than in West Bengal," Ghosh said. His views were echoed by Surya Kanta Mishra, state secretary of CPI-M, which is at the other end of the political spectrum and a political opponent of the TMC in the state. The TMC has sought to counter the allegations of corruption by stating that the Saradha scam is a "sin" of the erstwhile Left Front regime. It has accused the BJP of indulging in demonetization, which it termed as the "biggest financial scam of independent India" and the alleged scam in the Rafale deal. This is for the first time in the history of the state that minority appeasement, NRC and infiltration have become major poll planks. Since Independence, elections have been fought on the basis of ideologies, policies of the government, restoring rights of the opposition parties, development, industrialization, unemployment and food security. The CPI(M) and the Congress, which are fighting a bitter battle for political survival in the state, are stressing on the issues of employment generation and waiver of farmers loans. The Left party feels that the TMC and the BJP are playing a "fixed match" in West Bengal as both the parties want to polarize elections by projecting themselves as champions of the Muslims and the Hindus respectively.